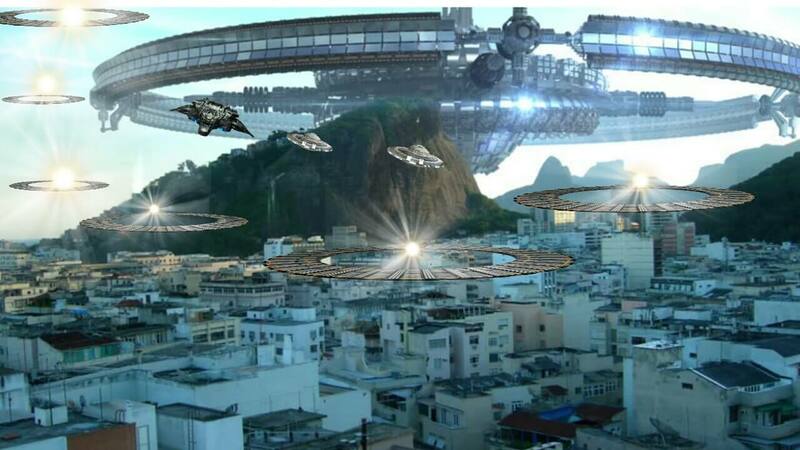 Home » What Will Happen When Aliens Arrive on Earth? What Will Happen When Aliens Arrive on Earth? THE world could be woefully unprepared for an alien invasion and because extraterrestrial technology would be far superior. Jill Tarter, a member of Search for Extra-Terrestrial Life (SETI) Institute and part of the management board for the Allen Telescope Array in California, said: “If they showed up on our doorstep, that means they have technologies that are considerably advanced with respect to ours. While there is no official plan, it is believed that the United Nations would take charge. They group would be responsible for every country’s atomic weaponry and air strikes, as well as distributing, and probably rationing, food across the planet. If ET has bad intentions for Earth, conscription may take place with many healthy men and women of fighting age being forced into battle – although it probably will not make much of a difference.Far more likely than aliens arriving on our doorstep would be they send a signal or a message to Earth.SETI is an agency which has been scanning the skies in search of alien activity since 1984. The Rio Scale The ET hunters have laid out a set of guidelines and recommendations to follow if, or when, we make contact. Firstly, the people who detect the signal would have to make sure it is genuine, then once it is confirmed they would have to inform the the Central Bureau for Astronomical Telegrams would be informed, who would inform professional observers across the globe and the United Nations Secretary General.There are then a few factors to take into consideration as to whether the public should be informed which is judged on the Rio Scale.According to Seth Shostak, senior astronomer for SETI: “A SETI detection could have important consequences for society. “The Rio Scale runs from 0 (forget it) to 10 (this is definitely IT!). It’s composed of two multiplicative factors: a term Q that measures the importance of the discovery (for example, if a signal comes from within the solar system, it’s adjudged to be more important than one coming from the other side of the Galaxy), and a term δ that estimates the credibility of the claim (is there hard data, or only an anecdotal report?) The Rio index is imply Q times δ.”After that, a response would have to be calculated. Although it has always been denied, Director of UN Office for Outer Space Affairs would probably lead contact.Malaysian astrophysicist Mazlan Offman, who served from 2010 to 2014, was strongly tipped top be the person to go to if aliens come out with the classic “take us to your leader”, but she refuted this during her time in charge, saying “It sounds really cool but I have to deny it.”Simonetta Di Pippo took over Offman’s post and so she could be the point of contact. Another likely candidate is Paul Davies – chairman of SETI’s post detection task force. As any alien’s grasp of English, or any human language, will probably be non-existent, experts have devised other ways to show that we are intelligent, with the mathematical formula for Pie as good as anything to send back to show that we are not completely primitive. However, others think, including Stephen Hawking, that we should not respond at all. Professor Hawking said that it would be best to keep schtum as, judging by what has happened when humans have met other humans who they deem inferior, it could spell the end of us.